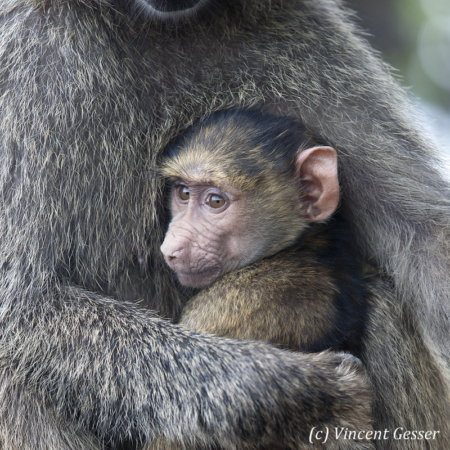 With an appearance so close to humans, primates share the additional characteristic of being the most endearing companions, in the case of the Mountain Gorillas, or the most annoying visitors, when considering Baboons. Sharing up to 98% of the human DNA may be part of the explanation. 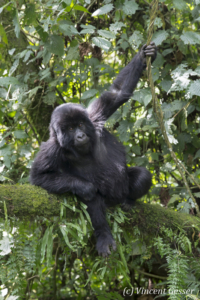 Mountain Gorillas and Golden Monkeys are listed as Critically Endangered in the International Union for Conservation of Nature’s Red List of Threatened Species. There are only around 850 Mountain Gorillas surviving in the wild nowadays and a thousand Golden Monkeys. All of them live in the Virunga Massif which is a volcanic mountain range which spans Rwanda, Uganda and the Democratic Republic of Congo. Made famous by the naturalist Dian Fossey in the 1960s, Mountain Gorillas live in peaceful families that can be visited by trekking in the misty Virunga Mountains.